While most of you reading my blog do not live in NYC, I thought this list could come in handy if you ever visit. Also, please feel free to pass this list on to any of your friends who live in New York or anyone else that might find this useful because I spent a lot of time making this and I want people to use it! Your options for breakfast, brunch and lunch are endless in NYC. However, these are some of the standout places for me! Shopsins (Lower East Side)-This is definitely my favorite place for breakfast but it can be a spectacle if the owner is there. You will know what I am talking about when you go! This place is located in a small corner of Essex Street Market. If you go here, don't miss the macaroni pancakes as it is one of those things you would want if you were stranded on an island. This place is tiny so I recommend going in the early morning or plan on waiting. Closed on Monday and Tuesday. Clinton St. Baking Company (Lower East Side)-I love the breakfast here. This place opens at 8am on the weekdays and 9am on the weekends. Westville (West Village) or Westville East (east village)-Both locations are great. You have to get the mint lemonade slush and it is so refreshing and delicious. They do not take reservations here and again this place is small so go early. Joseph Leonard (West Village)-I have actually only been here for dinner which was fabulous! It is a casual yet trendy restaurant opened by the former owner of Little Owl. I have heard wonderful things about their brunch which is why I wanted to include this place on my best brunch list. Blue Ribbon Bakery (West Village)-Cozy, quaint restaurant in the West Village. I adore the atmosphere here. They serve a great brunch with a wonderful bread basket. This is a fun place to go with a group of friends. Jane (on Houston Street)-This is the place to go on the weekends for brunch. There is some great people watching here and the food is always good. 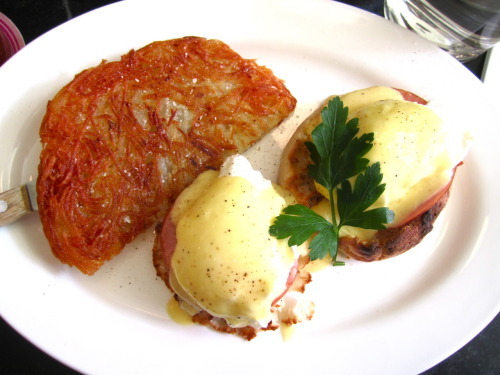 Prune (East Village)-Go to this place for their eggs benedict. It is amazing. Everything else on the menu is very fancy for brunch but this place is known for their benedict. This place gets really crowded on the weekends and they do not take reservations so keep that in mind when you want to go! EGG (Williamsburg)-I was sure this place was going to be overrated but not at all! This place has one of the best brunches in NYC and it gets unbelievably crowded. Many tourists do not venture into Brooklyn but it is actually very easy. You just take the L train to Williamsburg and you can be there in minutes. Torrisi (Soho)-When I think of Torrisi, I think of huge italian sandwiches. This place always draws large crowds for lunch but the service is fast. There are a limited number of seats in the restaurant so I would not recommend going here with a large group. They do have a very exclusive, prefix dinner that you should check out too. Café Habana (Nolita)-Most would consider this place a local and celebrity hangout. 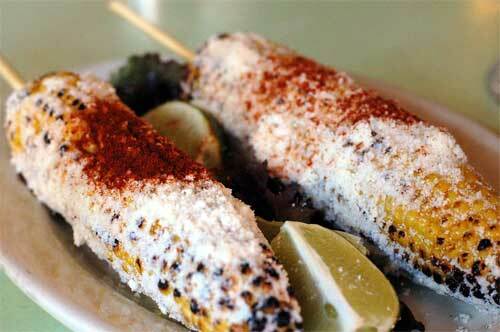 I like to go here to get the ear of corn with cotija cheese and paprika. It makes for the perfect snack especially when you are shopping in Soho! Mooncake Foods (Soho)-This is a great place to stop if you are shopping in Soho and work up an appetite. Not only is it super cheap, but the portions are large. I loved their spring rolls and grilled salmon salad. Lobster Place (Chelsea Market)- This is a casual place in the middle of Chelsea market. It is good for lunch on the run. You will find fresh seafood, soups, and sushi here. I recommend going here before or after you walk the highline! Eataly (Flatiron District)-Another one of Mario Batali’s ventures. This place reminds me of an Italian version of Dean and Deluca’s. There are a few different restaurants within Eataly that are sure to impress.